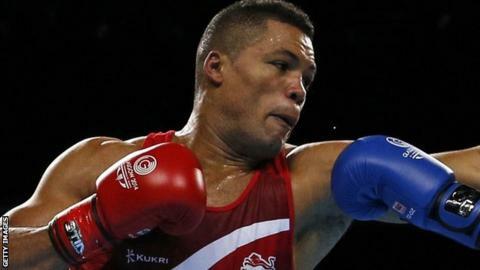 British Lionhearts suffered a 4-1 defeat to Mexico Guerreros to end their World Series of Boxing campaign. Joseph Joyce gave the Lionhearts a flying start with a close points win over Edgar Ramirez in Aguascalientes. But defeats for team-mates José Kelvin de la Nieve Linares, Haizel Ekow Tabiri-Essuman, John Newell and Oualid Belaoura meant Mexico's triumphed. The Lionhearts finish with only three wins from 14 matches, while Mexico progress to the quarter-finals.